We engage with Congress to advance win-win bipartisan policy solutions to address urgent climate change and defend clean energy programs and budgets. We’re also expanding work to help families to improve their homes’ energy efficiency with no upfront costs. With the Trump Administration’s announced intention to leave the Paris Agreement and work to roll back government programs and investments in clean energy, so many of us are concerned that we are not making the progress on climate and clean energy that we need to undertake to alleviate the impacts of climate change on our economy and our most vulnerable happening. And yet all of this is happening, even though the climate warning signs are blinking ever more urgently. The current year has been one in which extreme weather, intensified by climate change, has sadly grabbed the headlines and made it clear that progress on clean energy and win-win solutions on climate is urgent! 2016 was the hottest year ever recorded, hotter than 2015 and 2014, which were the previous record-holders. Now more than ever, EESI's role of informing policymakers about sustainable solutions to climate change is critical. 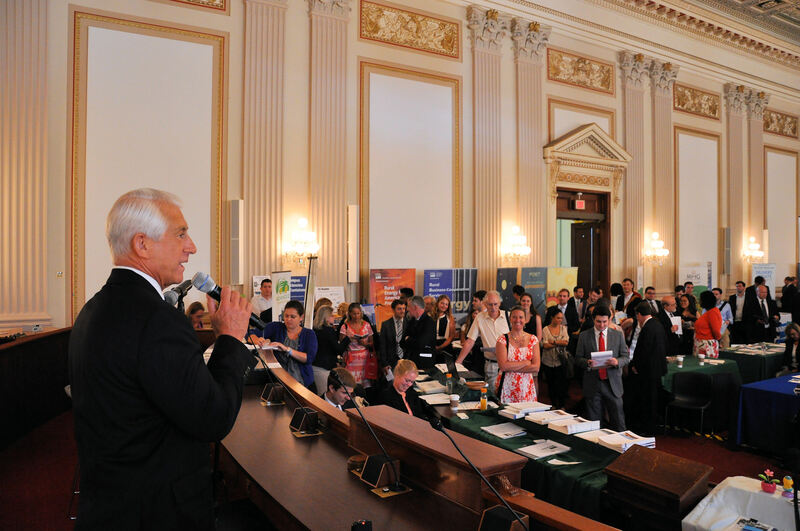 We have a strong core audience in Congress, but our reach extends far beyond the Washington, D.C., policymaker community to stakeholders throughout the world. When you give, you are enabling EESI to work in a nonpartisan way for practical, cost-effective, sustainable solutions. Now is the time to move forward. Your role is critical. You can donate—we’re not funded by Congress (as some think). That gives us independence, but means you and others like you make all of this possible! Energy efficiency and renewable energy are key to our country’s future—we need to increase their use dramatically to mitigate and respond to climate change, which affects us all. Our country’s energy systems need dramatic change—for example, we spend $250 billion per year on fossil fuel energy in our homes, much of which is wasted. Yet the technology to advance clean energy is available; the main barriers are financing and quality communications to policymakers, the media, and key stakeholders to build their confidence in clean energy solutions. EESI fills the need for credible, timely, persuasive information and the need to build buy-in for common-sense innovative solutions. EESI was founded by a bipartisan group of members of Congress more than 30 years ago who knew that addressing critical environmental issues is not a partisan issue. This role is more critical than ever today! The number of Congressional staff has been decreasing for decades. We don’t want staff to have to turn to lobbyists for information on energy and environmental issues. Congress needs EESI's help to build effective, innovative policy solutions based on sound science. EESI is a leader in providing policymaker education and the need has never been greater! EESI showcases sensible and sustainable solutions to complex energy and environmental issues for policymakers and the public. From energy efficiency financing to solutions to climate change and energy innovations, we’re a resource for policymakers, the media, and so many more! In the past few years, we’ve expanded to provide technical assistance to utilities for energy efficiency programs (www.eesi.org/obf). We've focused on what is known as ‘on-bill financing’--financing energy efficiency improvements can be tough or impossible for many families. 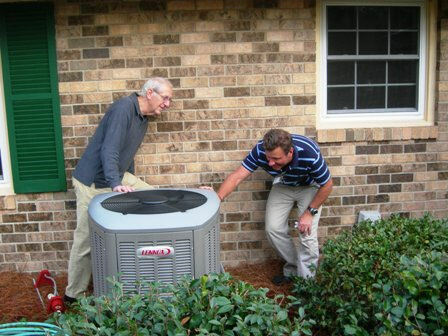 This approach allows them to improve their home energy efficiency without any upfront costs! In on-bill financing, households can afford energy improvements because a reasonable loan payment is added to their home energy bill--enabling low- and moderate-income households to enjoy lower bills and better comfort. Energy savings that is good for families’ budgets and for the planet--just one win-win solution that EESI is pushing forward with the help of people like you! Back on Capitol Hill, EESI organizes expert panels to highlight many win-win, common-sense solutions to our nation’s energy and environmental challenges. We host 20-25 Congressional briefings every year - and now they’re available on the web, so anyone can access them. 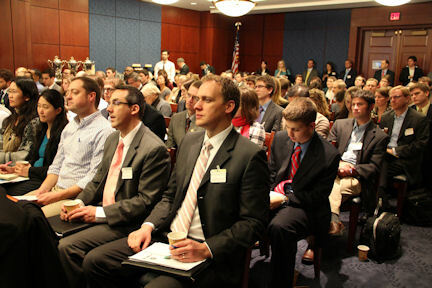 In fact, EESI was one of the first groups to organize Capitol Hill briefings that were free and open to the public! EESI develops and distributes user-friendly fact sheets on energy and environmental topics, such as our annual fact sheet on jobs in the renewable energy and energy efficiency sectors, and a roundup of climate change polling to help guide policymakers. EESI is a leader in providing policymaker education and working with diverse groups to explore policy options and develop innovative solutions in addressing the nation’s climate, energy, economic and environmental challenges. EESI’s impact is multiplied by our strong use of communications tool; our live webcasts and recordings multiply the lifespan and impact of our policymaker educational forums. Congress needs EESI's help to build effective, innovative policy solutions based on solid information, compelling stories and win-win solutions. Our recent expansion to on-the-ground work on inclusive energy upgrade solutions for families means we have a unique perspective, working for both local solutions and national policy solutions. Our policy ideas have been incorporated into many energy, farm and transportation bills as well as in federal agency rules. For example, EESI has been involved in helping to make successive transportation bills more inclusive of policies that support walking, biking and transit, rather than simply highway construction and maintenance. Many of our ideas were included in bipartisan energy bills. We also wrote a white paper for Congressional offices whose ideas were later incorporated into the farm bill’s first energy title. More recently, EESI helped inspire the creation of a Department of Agriculture clean energy loan program. And EESI was one of the earliest advocates of federal measures in favor of energy efficiency and climate resilience. Highlighted the overwhelming support Americans continue to show for clean energy and climate action. A large majority of Americans (75 percent) support regulating carbon dioxide emissions, including 88 percent of Democrats and 61 percent of Republicans. EESI held a Congressional briefing and published a fact sheet to highlight these important survey results for federal policymakers. 2. Promoted domestic understanding of international climate actions by amplifying global climate agreements and international cooperation, including special attention to China’s actions on climate and clean energy. 3. Helped launch four on-bill financing programs for energy efficiency upgrades to homes, and published a technical assistance manual for utilities. EESI is working with utilities to help families reduce their energy usage with on-bill financing: households receive loans to pay for home energy upgrades, which are repaid through a monthly charge on their utility bill. In 2016, EESI supported four community-owned utilities to launch programs in Colorado, Iowa, Michigan, and North Carolina. 4. Promoted a new, no-interest federal loan program for energy efficiency projects in rural areas. The U.S. Department of Agriculture (USDA) launched the Rural Energy Savings Program (RESP), which made available $52 million in zero-interest loans to rural utilities to capitalize on-bill financing programs. This was a huge win, as RESP had been one of EESI’s priorities since 2010. 5. Called attention to the plight of coal communities and showcased ways to help them evolve. EESI has joined a coalition with a shared focus on transitioning historically coal-centric Appalachian communities toward clean energy economies and rehabilitating the landscape. EESI has the highest rating—Four Stars—from Charity Navigator, the nation’s largest evaluator of nonprofits, receiving the highest possible score (100 out of 100), a ‘perfect rating’! 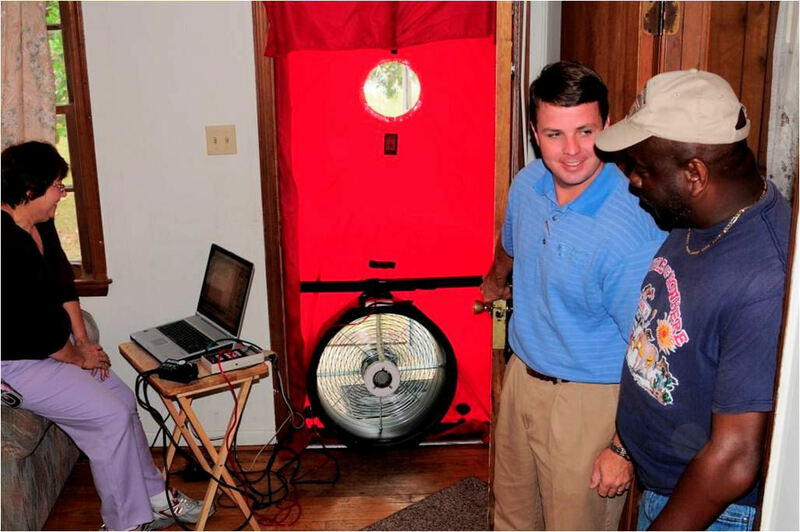 An EESI program is helping many lower income homeowners make their homes more energy efficient. "EESI's briefings on Capitol Hill are phenonmenal." “EESI is one of the most effective groups on Capitol Hill." EESI's on-the-ground work helping individuals informs its work on Capitol Hill.